Why can only some of my Facebook Pages interact with Groups? 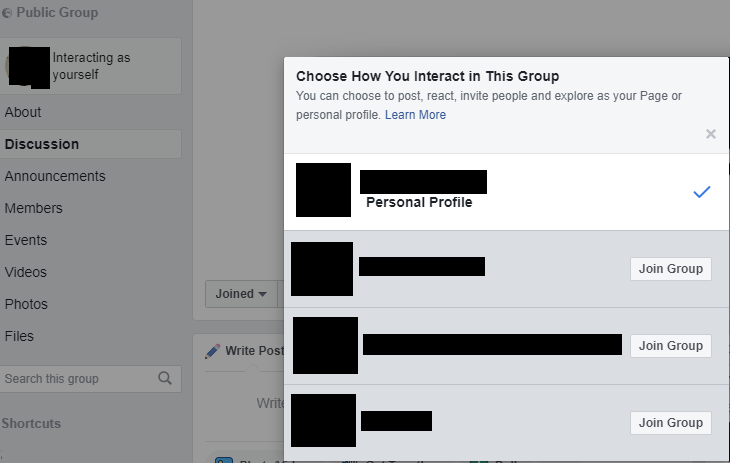 Facebook has recently added the ability for pages to join groups. When I enter a group as myself, I'm presented with the choice join the group as one of my pages. However, the choice is just for a few of my pages and not for all of them. Why is that? Browse other questions tagged facebook-pages facebook-groups or ask your own question. How do you create a private Facebook group with only yourself in it? Is it possible to add two or more Facebook pages as administrator of a group? Why can't I no longer invite people to Facebook groups by e-mail? Is it possible to set a Facebook group for people of only one country? Joining a group as a Facebook Page?